The United Nations Relief and Works Agency for Palestine Refugees in the Near East (UNRWA) will not renew the contracts of around 113 employees in the Gaza Strip, a spokesman said on Wednesday. He said, according to Days of Palestine, that the contracts of those employees are already set to end by the end of this month. 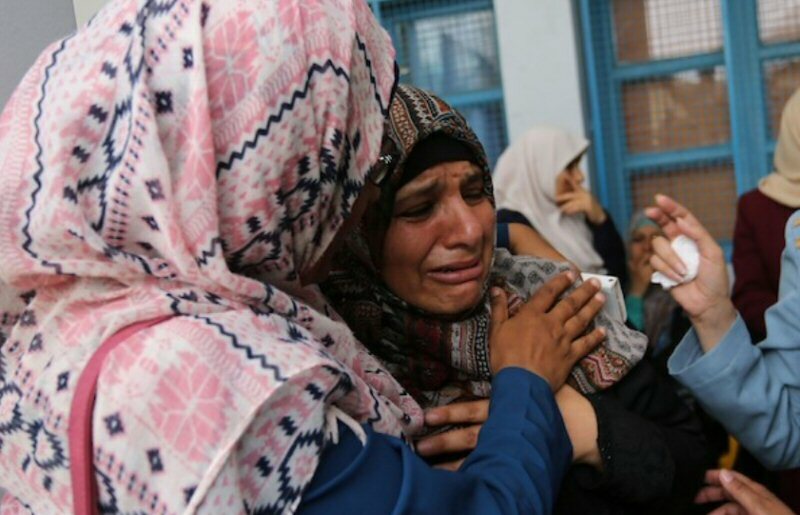 Last Monday, UNRWA employees staged an all-day sit-in inside UNRWA headquarters in Gaza City, and outside the office of UNRWA Director of Operations Matthias Shamali. The union stated that the UNRWA’s decision to sack its employees is an initial step to dismiss a thousand employees of the emergency programmes by the end of 2018, adding that next year will witness a new wave of dismissals, under the pretext of a budget deficit. Established in 1949, UNRWA provides critical aid to Palestinian refugees displaced since 1948, and who are now living in the blockaded Gaza Strip, the Israeli-occupied West Bank, Jordan, Lebanon and Syria. In the West Bank owing to the absence of emergency funding, UNRWA will discontinue its Cash for Work activities effective 31 July 2018. However, households assessed in the last two years as abject poor, will be transitioned to theSocial Safety Net Programme (SSNP) – a core programme of the Agency, which we are determined to continue. This will ensure that the most impoverished refugees inside camps continue to receive assistance, and become eligible for other forms of support which are not available under Cash for Work. Food voucher activities will continue until the end of 2018, at which time households who have been assessed in the last two years as abject poor will also be transitioned to SSNP. In order to protect as many jobs as possible and retain components of certain emergency-based interventions by integrating them into core programmes, around 280 staff will be redeployed on full time basis in existing or revised functions and approximately 584 staff will be offered part time posts in existing or revised functions. The EA funding challenge in the Strip would result in having113 posts on emergency funding not renewed upon expiry of contract in August this year. As is the case with the West Bank field, if they choose to apply in the future to vacant posts, they will be treated as ‘internal candidates’ allowing an exceptional greater opportunity for re-deployment with the Agency.